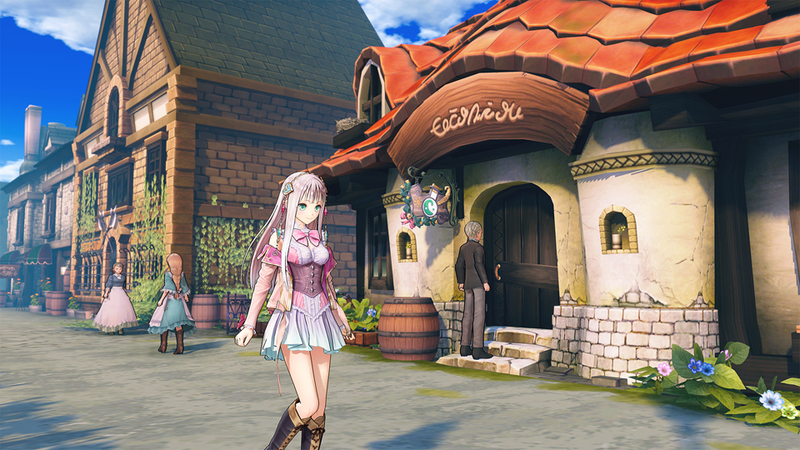 Koei Tecmo's Gust has just revealed a brand-new Atelier game today. 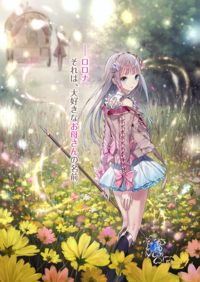 Atelier Lulua: The Scion of Arland will be the latest entry in Gust's long-running Atelier series, set to release next spring in both Japan and the West. 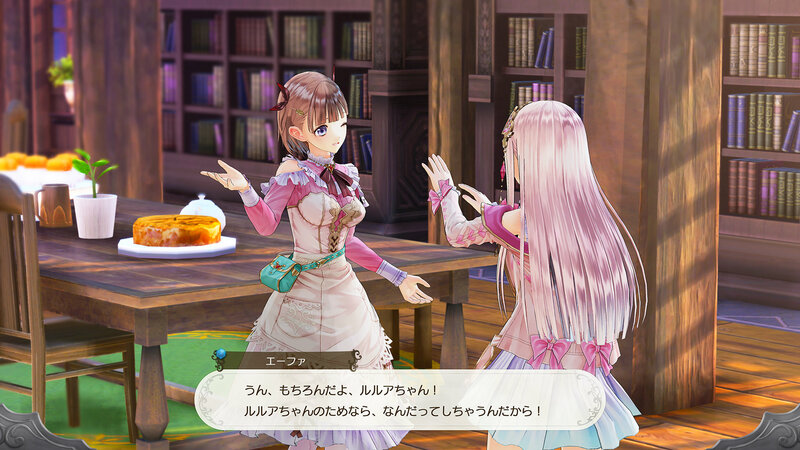 As the title suggests, this game will continue the Atelier Arland sub-series, which has recently received remastered deluxe ports for the PS4 and Switch in Japan. 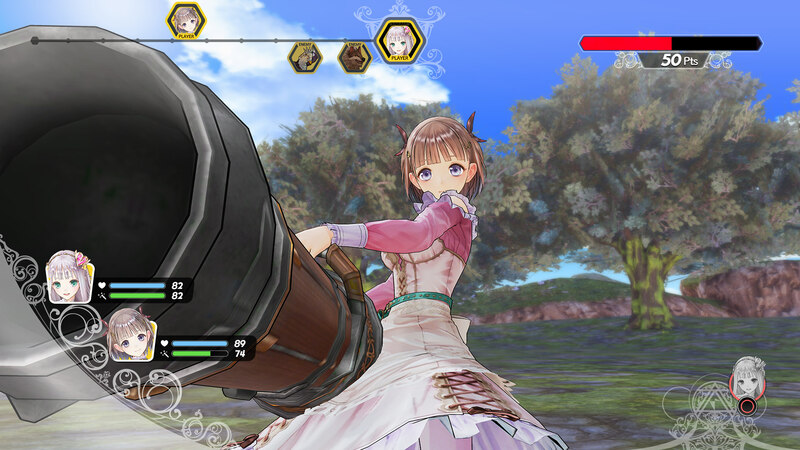 The Atelier Arland remaster trilogy is also coming to the West this December with an additional PC version to boot. 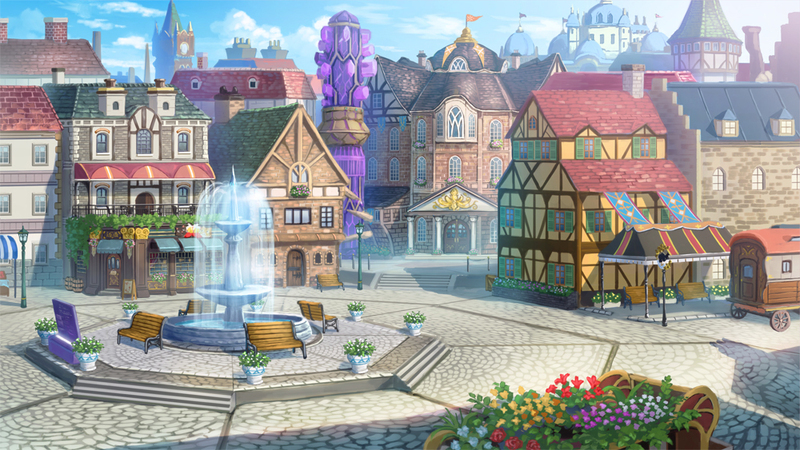 This sequel is being produced by Junzo Hosoi who also worked on previous Atelier titles. 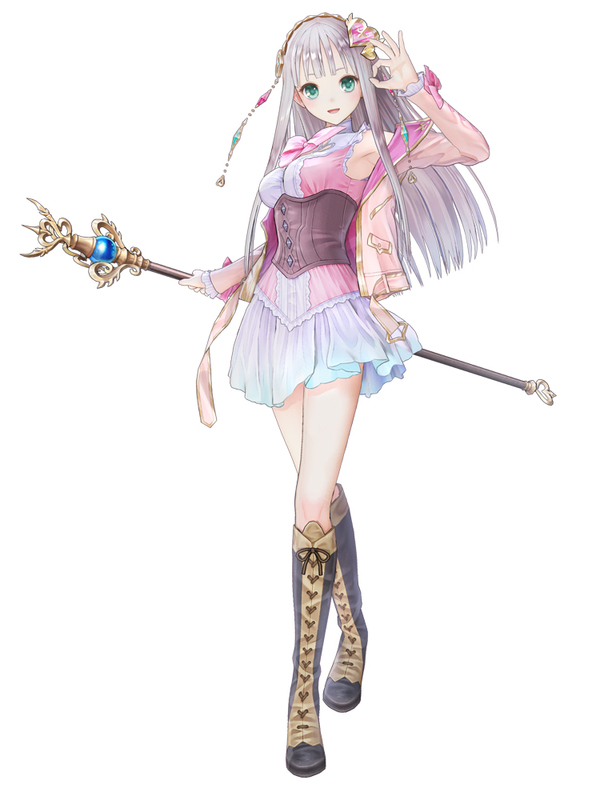 The original illustrator for the Arland series Mel Kishida is, of course, also returning to design the characters in this game. 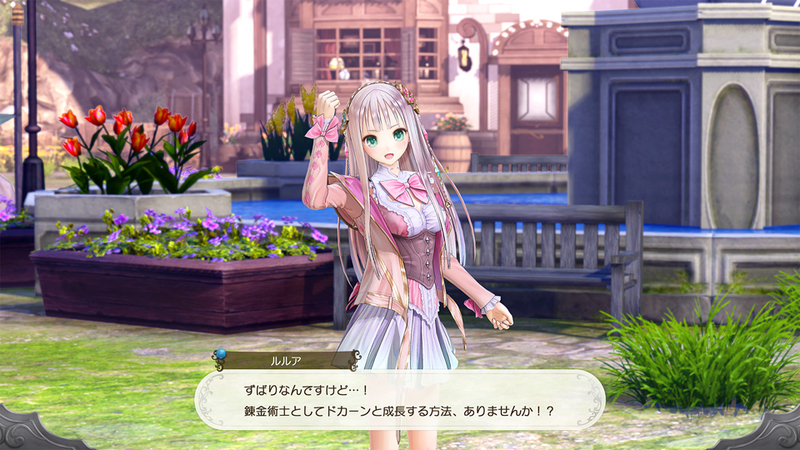 Atelier Lulua will take place a few years after Atelier Meruru, where the Republic of Arland has grown much bigger after having the Kingdom of Arls merged into the country. 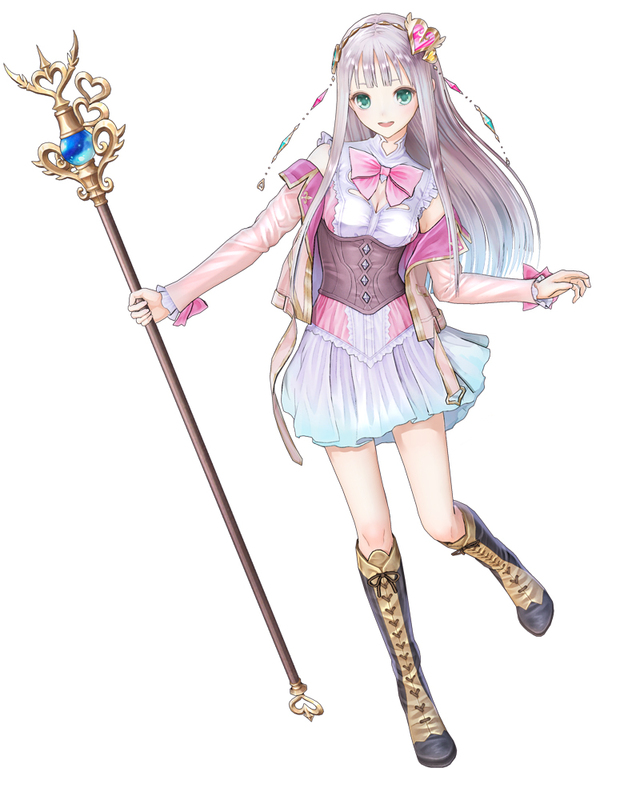 The protagonist of this new game is Elmerulia Fryxell, also known with her nickname Lulua, who turns out to be the daughter of Rorona, the first protagonist in the Arland series. 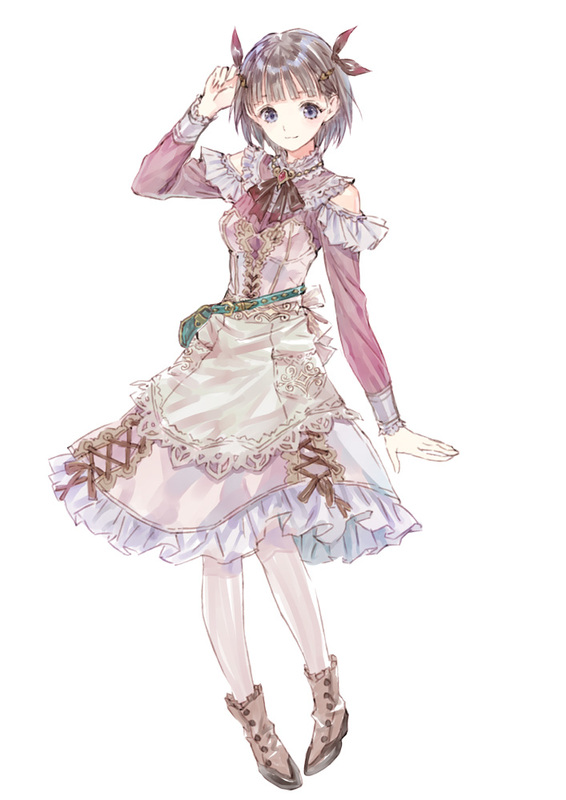 Lulua aspires to become an alchemist just like her mother, and right now she is studying in Arland while being accompanied by Eva Armster, her childhood friend who also works as an assistant for a nursery school. 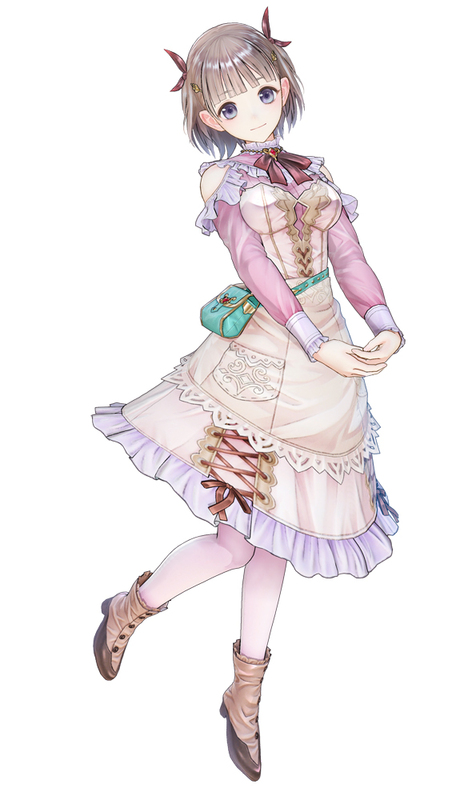 Rorona is, however, currently on a journey far away. 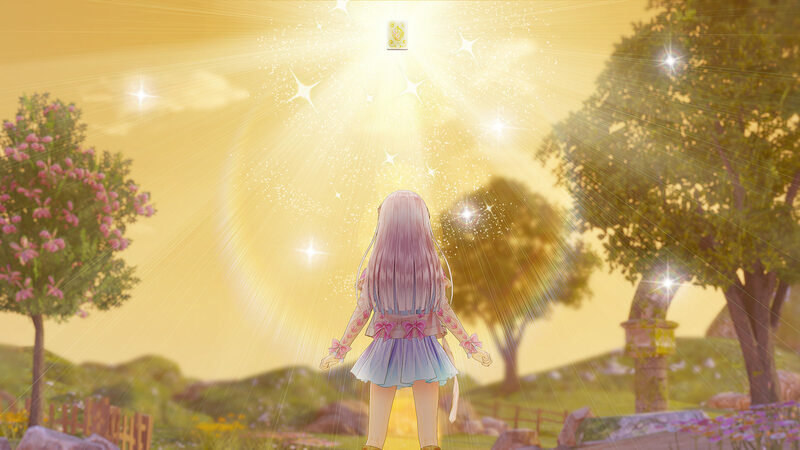 One day, Lulua finds a mysterious book floating down from the sky. 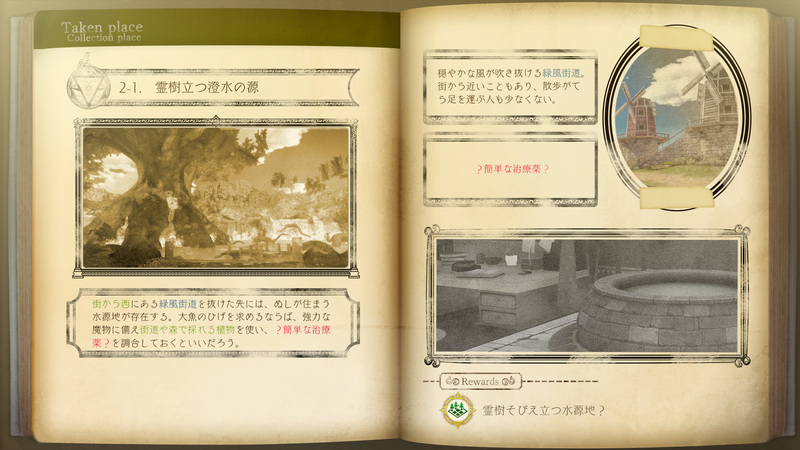 This book has abstract keywords scattered all around its pages, which seem to be related to the game progression. 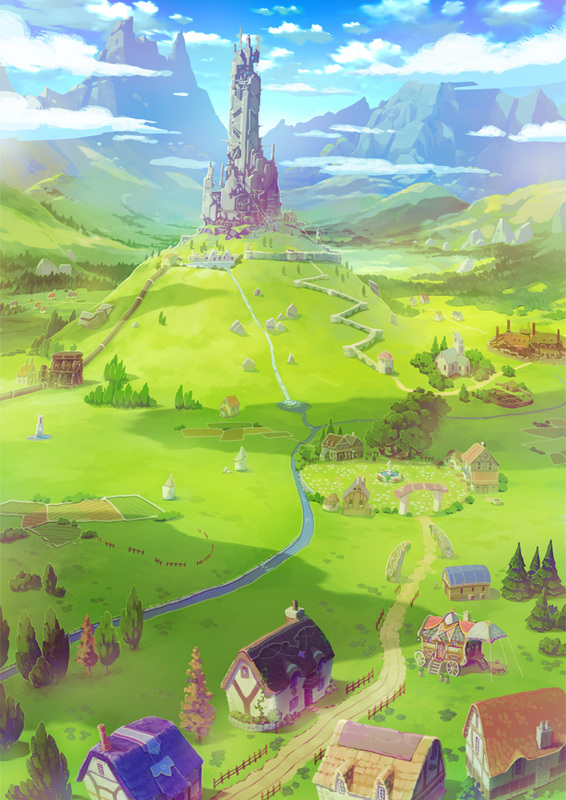 Speaking about the gameplay systems, Gust has mentioned that many of the systems will be based on the prior Arland titles while also improving them further. 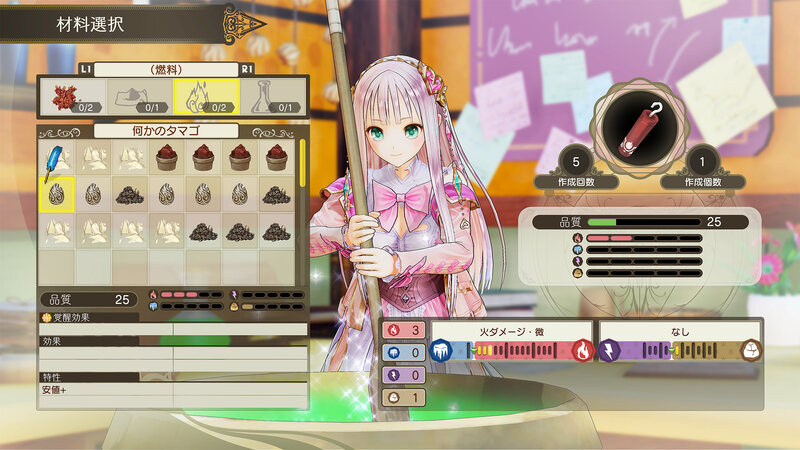 For example, the compunding system will be closer to the Arland games where players just simply select materials to be used, and explorations will have the Discovery system that was also seen in Atelier Totori, where players can find new unknown lands and items. 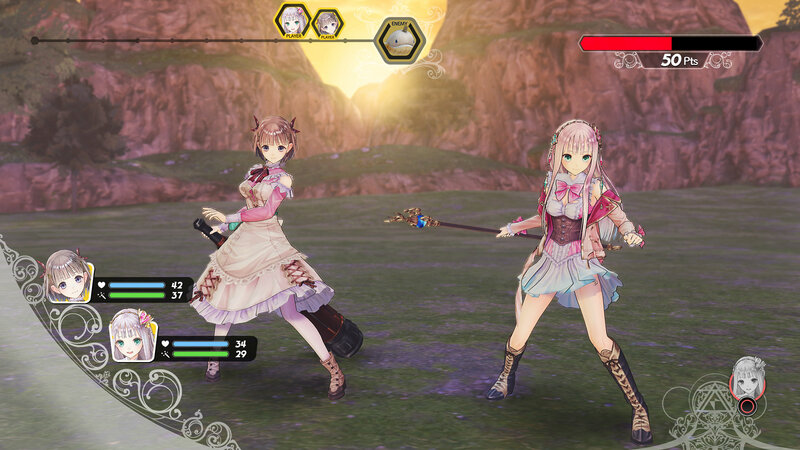 The battle systems, however, are going to get some new features based on the most recent Atelier games such as the Mysterious series. 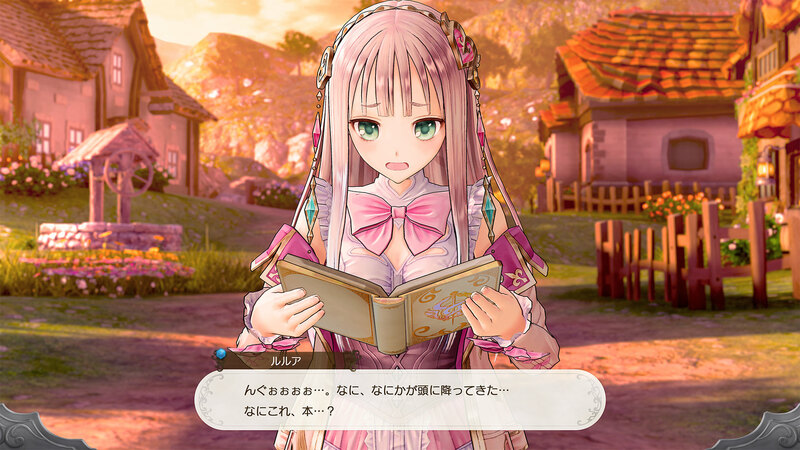 Atelier Lulua will have a vast region to explore, but it will not have a time limit system as each player will have different amounts of play time to clear the game. 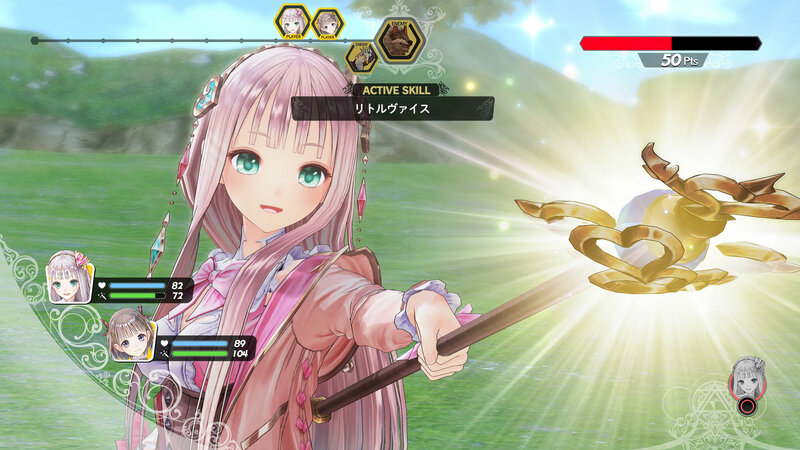 Pre-orders for Atelier Lulua have opened today in Japan, and Gust has also revealed the limited editions of the game. 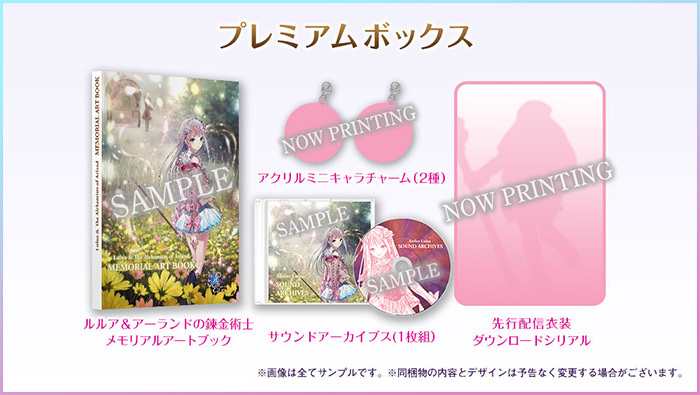 The Premium Box contains a Memorial Art Book of Lulua & The Alchemists of Arland, a Sound Archives soundtrack CD, and 2 acrylic mini-character charms. There is an even more luxurious Special Collection Box, which will only be sold at select stores in Japan. In addition to all Premium Box contents mentioned above, the Special Collection Box will also have an extra-large illustrated cloth poster and a crystal paperweight with unique serial numbers. 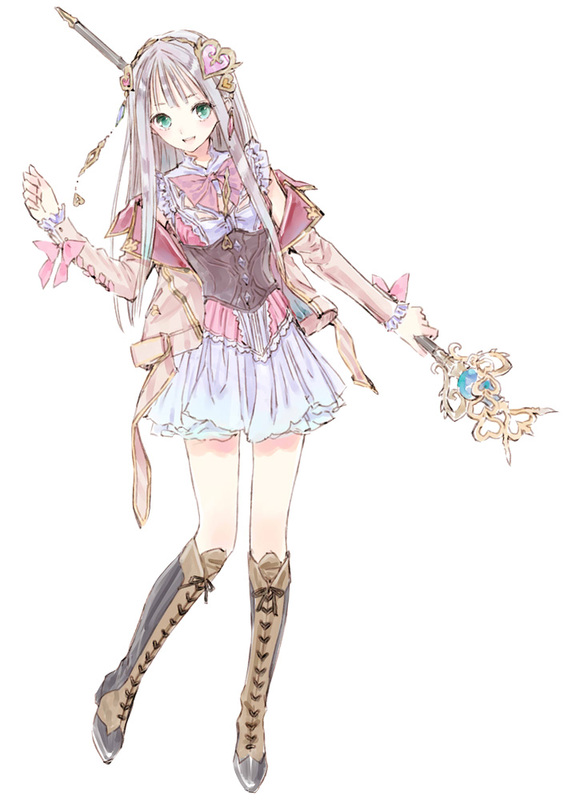 All early purchases of Atelier Lulua, including the regular physical and digital editions, will come with a serial code to download an additional costume for Lulua for free. 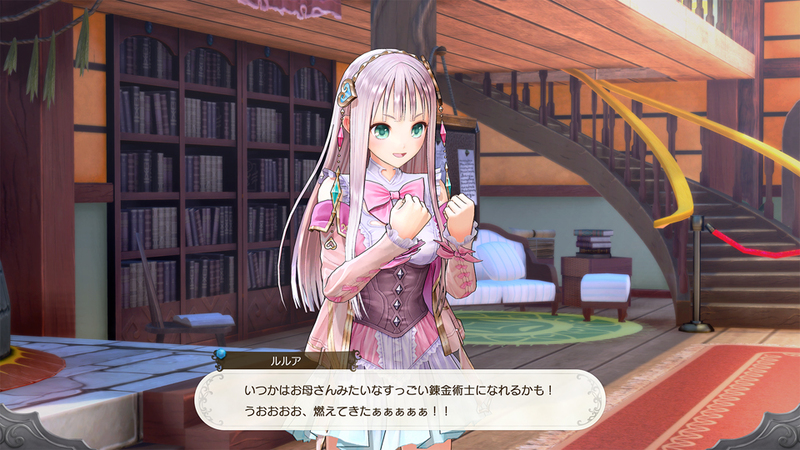 Atelier Lulua: The Scion of Arland will be released worldwide in Spring 2019. It will be out for PlayStation 4 and Nintendo Switch in Japan, with an additional PC Steam version for the West.